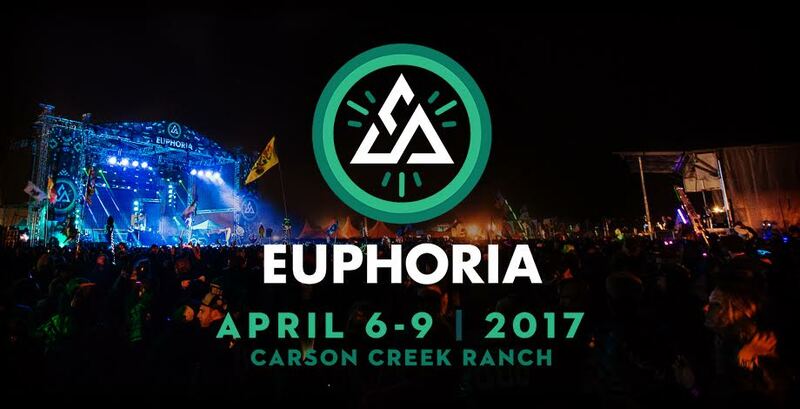 Euphoria Music Festival once again makes it way back to Carson Creek Ranch for an awesome 6th year in a row. Having blown the tent flaps off their zippers last year, we can only expect Euphoria to go bigger and better this time around. Mark your calendars because You can find your Euphoria April 6-9, 2017. As a thank you to the fans, special “Loyalty Tickets” are on sale this Friday, at 10 a.m. There will be options for fans to come in an extra day early, special shuttles for all campers, a new “Fly Life” VIP experience and more just waiting to be announced. Keep an eye out for more information in the coming months!